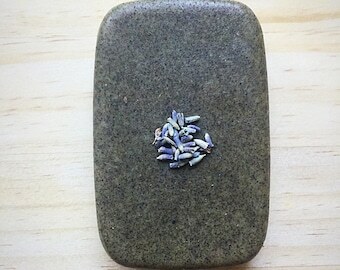 Lavender Rose soap. 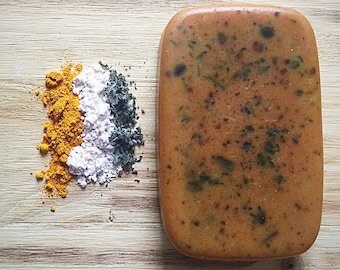 Our 4 ounce, organic Rose Lavender soap is made with blended french lavender buds, rose petals, goat milk soap and vegetable glycerin soap. 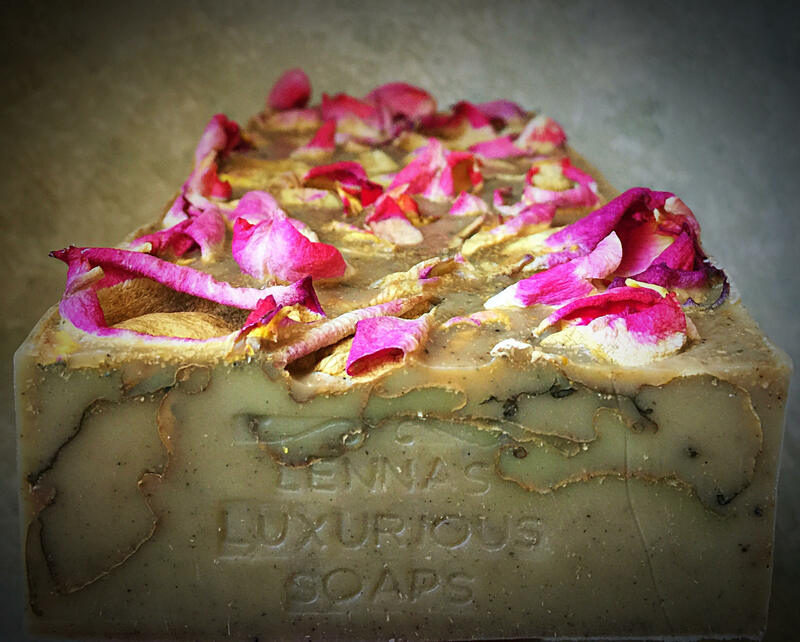 These earthy scented, natural rose-lavender soap bars are packed with locally grown, organic lavender and dried rose petals. We then infuse a liberal amount of the purest lavender and fresh rose essential oils available on the market today. 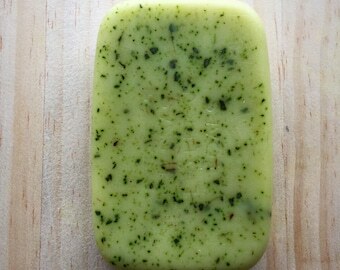 Producing a wonderfully organic and aromatic goat soap. 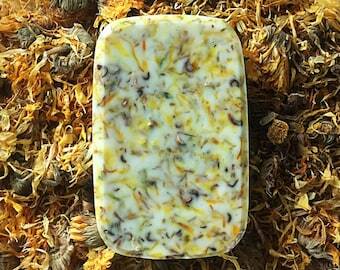 Our final goal with this particular soap was to capture the floral essence of a blooming botanical garden inside each individual 4 ounce organic soap. Each bar is wonderfully unique, earthly and balanced. As always, no chemicals! Each bar comes nicely wrapped and packaged when it arrives, making a perfect ready made gift. PRODUCT NOTE: The natural green color as seen in the pictures above illustrate a freshly cut hand bar slice. This color will darken to a medium light green or light brown after curing. Rose petals typically fade in color over time. From the moment I saw this soap on Instagram I knew I had to have it! I don't know if this makes any sense but it smells creamy! Beautiful soap and I can't wait to use it- but I may just look at it for a while first!